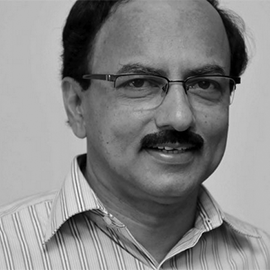 The swearing-in ceremony of HD Kumaraswamy as chief minister of the Janata Dal (Secular)-Congress coalition government in Karnataka, was turned into a spectacular show of a ‘united’ Opposition against Prime Minister Narendra Modi and the BJP ahead of the 2019 Lok Sabha elections, but the contradictions it presented could not be ignored. At the function held on the grand steps of the majestic Vidhana Soudha, the Karnataka secretariat, there was a lot of bonhomie displayed by the leaders, who included Sonia Gandhi, Rahul Gandhi, Akhilesh Yadav, Mayawati, Ajit Singh, Chandrababu Naidu, Mamata Banerjee, Sitaram Yechury, D Raja, Sharad Pawar, Tejashwi Yadav and Arvind Kejriwal, but many of them are ‘sworn enemies’ in their respective states. According to one estimate, they together represent over 40 per cent of the votes secured in the 2014 Lok Sabha elections as against 31 per cent for the BJP, which still managed to win 282 seats. The big question is whether they can make enough sacrifices to put up a common candidate against the BJP and take it head on in every state. In Uttar Pradesh, for instance, can the BSP, SP, RLD and the Congress work out a pre-poll alliance and share among themselves the 80 Lok Sabha seats at stake? Given its recent record in UP, is Congress ready to play an insignificant role and be happy with less than 10 seats they may be offered? In Andhra Pradesh and Telangana (incidentally, Telangana CM Chandrasekhar Rao came to Bengaluru, but did not attend the swearing-in ceremony, because, reportedly he did not want to be seen in the company of Sonia and Rahul), will TDP and TRS offer any seats at all to the Congress? Is it ever possible for Mamata Banerjee and Sitaram Yechury, representing two bitterest enemies in West Bengal, the Trinamool Congress and the CPI(M) to arrive at an electoral understanding? In Maharashtra, the second largest state with 48 Lok Sabha seats, the fight between NCP and the Congress helped the BJP-Shiv Sena alliance to snap up 41 seats in 2014. In the next election, will Rahul Gandhi bow before Sharad Pawar and offer him the maximum number of seats to recapture Maharashtra, especially since the BJP-Shiv Sena alliance is currently on the rocks? After the latest honeymoon in Karnataka between the Congress and the JD(S), can Congress afford to give at least 10 seats out of 28 to the alliance partner, which will be its minimum demand? 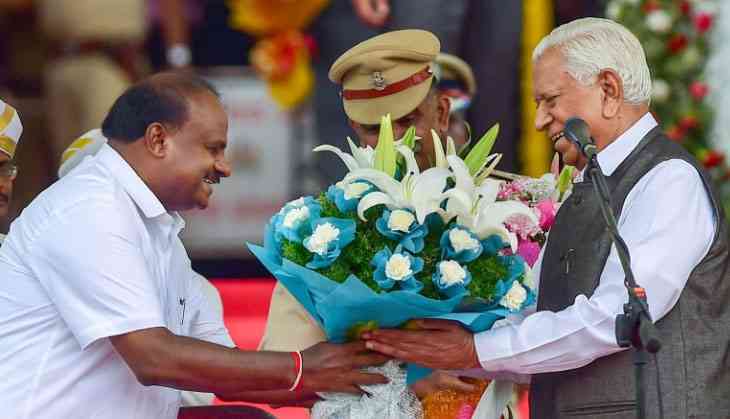 In Bengaluru today, when the entire country was watching live telecast of the swearing-in of Kumaraswamy and G Parameshwara as CM and DyCM respectively, the photo-ops were good, with an impressive array of Opposition leaders on stage, but will they all go back to their respective states and mull over how to turn this ‘dream’ into reality? Just as an hour-long thunderstorm threatened to disrupt the swearing-in ceremony in Bengaluru, DK Shivakumar, the man who held the Congress flock together in the face poaching attempt by the BJP, upped the ante in the morning, demanding that he should also be sworn-in as DyCM for all the “sacrifices” he had made for the party. On arriving in Bengaluru, Sonia Gandhi reportedly pacified him with an assurance that his contributions will be recognised. Lingayat and Muslim legislators are also demanding that a DyCM post should be given to them. Kumaraswamy will be taking the oath of confidence on Friday and he is expected to sail through as the alliance has 118 members, including three independents, against the required number of 111 as of now. Elections in Rajarajeshwari Nagar which was deferred to May 29 due to discovery of around 10,000 voter IDs in a flat, and and in Jayanagar, which was countermanded due the death of BJP candidate, will make the majority figure in the assembly 113. Kumaraswamy may have to accommodate the lone BSP legislator N Mahesh in the cabinet as also the two independents, whose support is crucial for the survival of the ministry. He has to accommodate them from the JD(S) quota of 11 cabinet berths as Congress is said to have refused to sacrifice any of its 21 berths. JD(S) supremo Deve Gowda, facing internal pressures from his family, will have to ensure two or three important portfolios to his elder son HD Revanna, who missed out on becoming CM for the second time. There is also the question of who from the family will contest from Ramanagara, the seat to be vacated by Kumaraswamy as he has won from two places. He wants to put up his wife Anitha Kumaraswamy, but Revanna and his wife Bhavani will strongly pitch for their son Prajwal, who is keen to make his political debut. Kumarawamy will have to reckon the presence of former chief minister Siddaramaiah, who is being projected as chairman of the coordination committee, which has to be consulted before taking all major decisions. There is no love lost between the two as it was Kumaraswamy who had blown the ‘Rs 40 lakh Hablot watch issue’ and embarrassed Siddaramaiah in the run up to the elections. Therefore, the grand alliance at the national level, which the coming of JD(S)-Congress government seemed to suggest, will face a bumpy road before it becomes a reality.